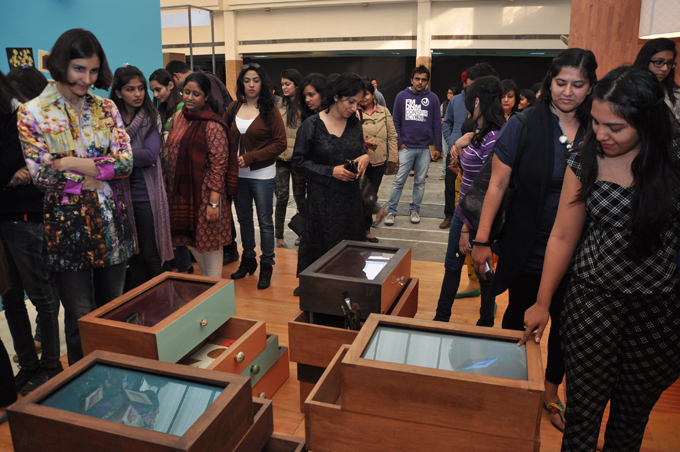 At ColourNext Dialogues in Delhi, Small Joys was the first installation with which the participants interacted. The speakers, fashion designer Nida Mahmood and gallery owner Nidhi Jyoti Jain, were initially struck by the idea of memory and nostalgia. 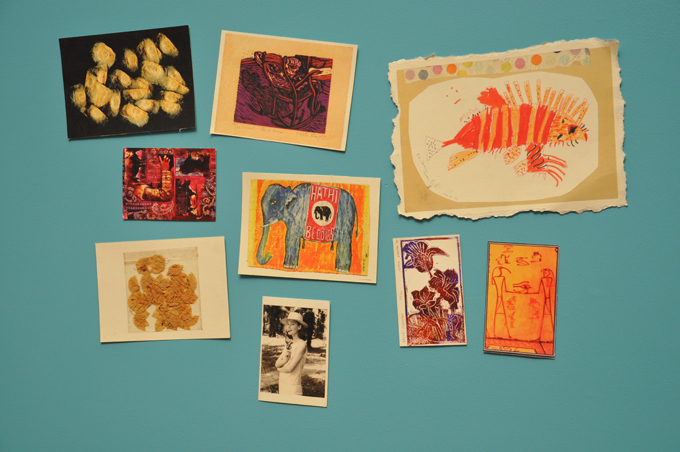 The installation evoked a sense of looking back at one’s life, in the yellowing books and clumps of askew postcards hanging on the walls. Nida also brought up the idea of finding refuge away from the chaos of a hectic urban life, and a nostalgic yearning for innocence. In this chaotic life, she said, we can’t imagine being able to wake up without worry. Small Joys realizes the need for a little fun, a little happiness, and a little freedom that we all crave. 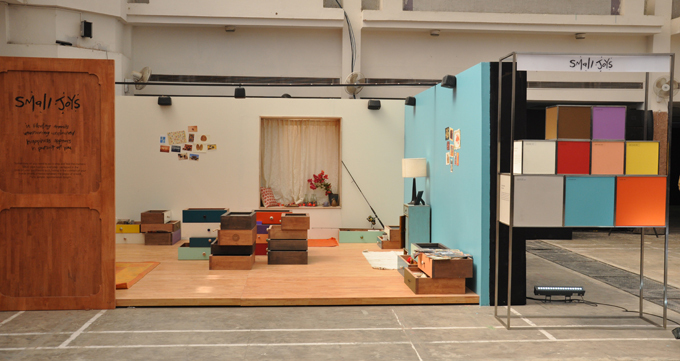 Participants agreed that the Small Joys installation reflected the happy moments we steal from our own busy lives. Some noted the spontaneous playfulness of the installation, which seemed as though it had not been fully thought out or designed. It reminded participants of little moments of peace in one’s life, such as sipping a cup of chai in the middle of the day. They also agreed with the speakers that Small Joys evokes themes of memory, time, and nostalgia. One participant commented that the installation was like an assortment of our favorite things, even memories, that accumulate over time. While participants were in consensus on the relevance and sentiment of the theme, they debated whether the color palette did justice to the idea. Some believed that the soft, muted tones and smattering of diverse color emphasized the ideas of memory and time. The almost random collection showed a playfulness that was freeing while artistically designed. 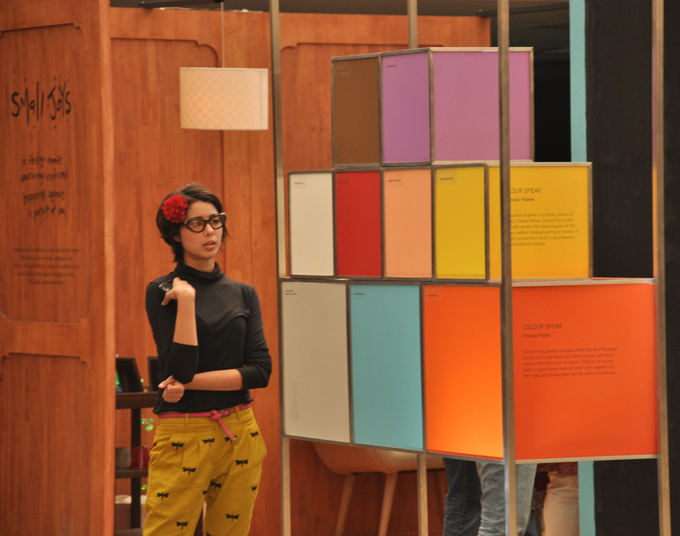 However other participants believed that brighter colors would have brought more energy to the installation.